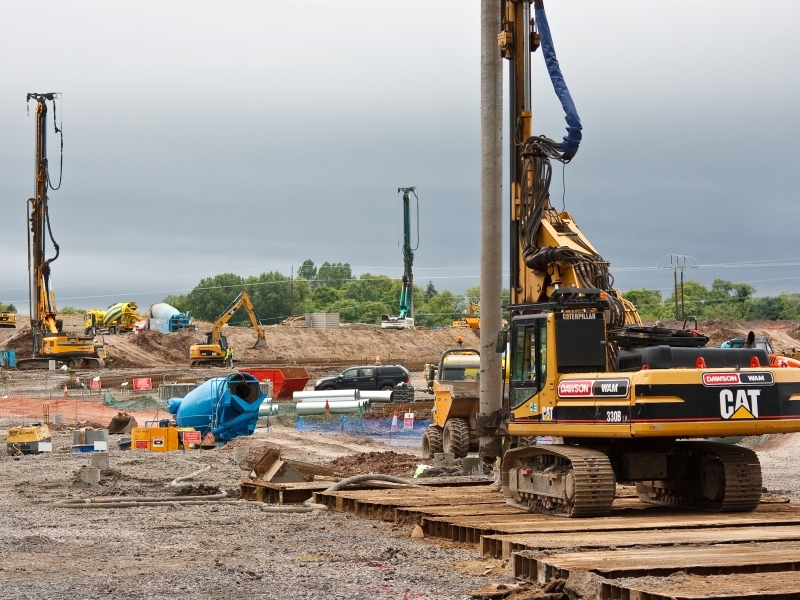 This project represented the full extent of the piling works required for the launch of the New Acute Hospital for the South West of Northern Ireland. A total of 3,800 piles were installed in the project to form a solid footing for the new hospital building, associated structures and external areas. The ground conditions varied significantly from very stiff boulder clays with large cobbles to the very soft lake clays and peats. These soils overlaid the very strong limestone bedrock into which all piles were socketed, in some cases up to 1.5m. 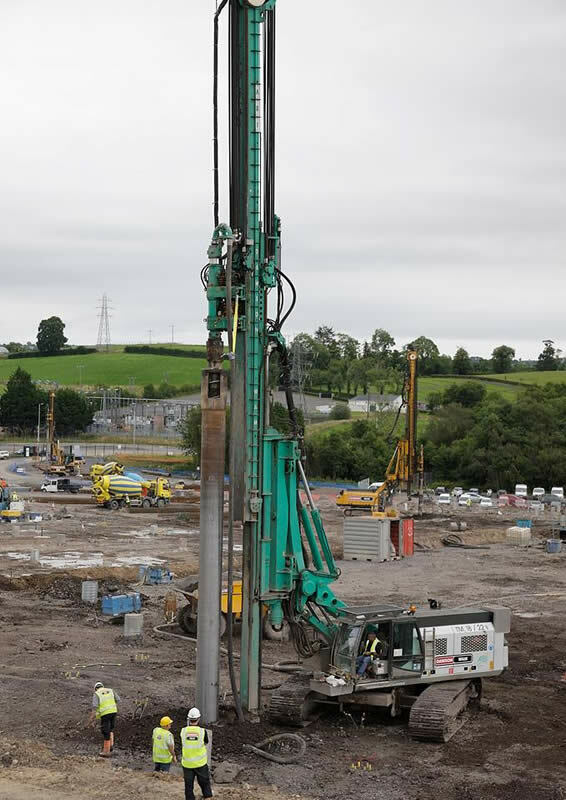 Our cased auger system offered significant advantages to the scheme allowing both the formation of piles in the very soft soils and the ability to drill efficiently into the hard limestone.